Thomas Banyacya Sr. (1910-1999); Speaker of the Wolf, Fox and Coyote Clan Elder of the Hopi Nation. It was an ordinary spring day in my kindergarten classroom, or so I thought. It was actually June 3rd. Almost summer. You know that part of the school year when everyone is starting to get tired, but in an early childhood classroom, the excitement is still a buzz. The favorite themes are introduced and the children are just as eager to explore and learn. We were beginning to prepare for our end of the year presentation, you know, the moving up celebration. I was sure we had covered all possible learning by this point through required curriculum and teachable moments, but boy, was I wrong! It was a Monday morning, to be specific. We had been learning about insects, mostly butterflies, and up until this day, my young learners were sure I had been lying to them. For weeks, we had been watching a dozen caterpillars grow bigger and fatter, until we could see nothing but the chrysalis they created. Well, I had not lied to them thus far, but the butterflies were taking their time appearing, and the children had given up hope. The constant question, “When will they be butterflies?”, was being asked less and less, and I knew that it had to happen soon. They just had to come out before the school year ended. So at this point, the routine was set. The children came in each morning, put away their belongings, took a quick peek in the butterfly garden to see nothing new and then joined us on the rug for our morning lesson. I was as disappointed as they were, until this Monday morning. When I came into my room, I prepared for the day’s lessons and decided to check on our butterflies. 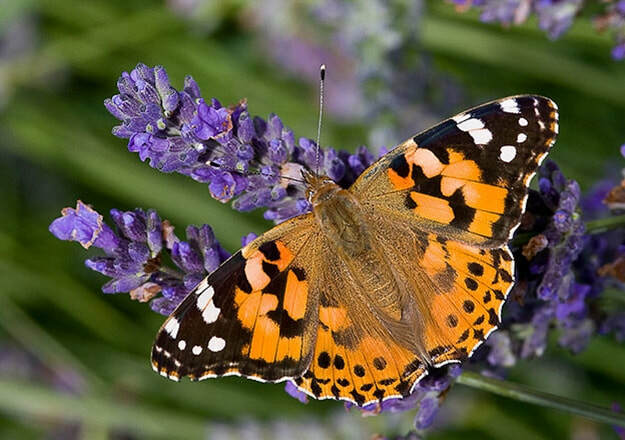 Lo and behold, there were a dozen painted lady butterflies flying around their space, letting me know in their own way that all beauty takes time. I knew at that moment that my day would be recreated based on a teachable moment. It was going to be a wondrous day! Shortly after, the children arrived. They hung up their belongings, chatted with their friends and made way over to the butterfly garden. The wonder in their eyes could not be described. Ah, the joys of teaching. “Teacher”, they called to me, “teacher, look! The butterflies are here!”. I was just as excited as them, but not to see the butterflies, simply to see that there are life lessons that create wonder and bring about joy. My day was made, but the lessons were not yet over. Being a lover of nature, our beautiful world and all of its creatures, I knew we had to set them free so they could begin their journey. But being a teacher who had spent a great deal of time assuring impatient children that they would arrive, I decided we would set them free the next morning. Tuesday morning arrived, and we began our meeting time talking about why we were releasing the butterflies. We spoke of their needs and the harm that would be done if they were limited to this small space within our classroom. Finally, the children agreed, and we journeyed outside for our “setting free” ceremony. We wished them well, and watched until the last, tiny creature was out of eyesight. It was then that I looked down into the mesh garden and noticed one butterfly lying still on the bottom. Oh no, I thought. We are about to encounter another of life’s lessons... Death. Little did I know, this was just an introduction to an even greater lesson that would shortly follow. We filed back inside and the children watched as I gingerly picked up the butterfly and placed it in a soft basket, allowing us to observe it more closely. We talked about this butterfly at length. The children were curious about death. Nothing seems so painful through the eyes of a child, does it. They wanted to know why it died while the others had lived. Was it sick? Did we hurt it? Could we make it better so it could live again? I sighed, and knew that this was a true teachable moment, one that would be remembered by all for years to come. I began to explain that it may have been sick, but we had no way of knowing. I was not sure why it died, but did know that death was as much a part of life as living was. I told them that animals and plants and people die. Some are sick and some are old. Some are neither sick nor old, but they still die. The children seemed content with the discussion, though were very concerned and not sure how to feel about the loss of this tiny creature who had become such a significant part of our classroom community. One little girl said that she felt sad and then began to cry. I told them that, yes, death is sad, and it is okay to cry. I held and comforted this little one as she cried for the loss of our tiny classroom butterfly. And at that moment, I was proud to be the teacher of such a compassionate group of little ones. Still, not knowing that I was going to encounter yet another of life’s lessons. As the morning progressed, the children were busily working in their centers. The classroom had come to life with language and laughter. It was a typical day in my kindergarten room. Suddenly, the telephone rang and I stopped what I was doing to answer it. It was rare that the phone rang, but not uncommon. Parents occasionally called to check on their children or to get progress reports. But this call was different. Somehow, I knew that before I even picked up the phone. It was my brother-in-law and he was calling to inform me that my father had experienced a heart attack and had died in his sleep. We had talked about how life changes; how we change, and in essence, are similar to butterflies. He was fine then. In that phone conversation, he told me how much he enjoyed seeing me change. We all change. We are all like butterflies. I could not believe that my daddy had changed so much in a day. Please, I begged him, tell me the truth. My dad promised that he would be here for me as I continue to ‘become’. But my brother-in-law’s response was no different. He spoke the truth. I hung up the phone and when a replacement came, I left for the day. I helped to make arrangements, inform friends and family of our unexpected and untimely loss and attend the services and burial for my closest friend, my father. It was not until I returned to school and saw the butterfly that I saved, lying so still in the cushioned basket, that I realized how lucky I was, not only to be a teacher, but also to have had such a loving father. What I had learned, as I looked at this delicate butterfly was that, on the day we released them, my children had helped me to learn that death is a natural part of life, but my father had taught me how precious life truly is. By looking at life through the eyes of a child, I was allowing myself to miss my father. I was allowing the sadness to be okay. ​Several years ago in Seattle, Washington, there lived a 52- year-old Tibetan refugee. "Tenzin," as I will call him, was diagnosed with one of the more curable forms of lymphoma. He was admitted to the hospital and received his first dose of chemotherapy. But during the treatment, this usually gentle man became extremely angry and upset. He pulled the IV out of his arm and refused to cooperate. He shouted at the nurses and became argumentative with everyone who came near him. The doctors and nurses were baffled. Then Tenzin's wife spoke to the hospital staff. She told them Tenzin had been held as a political prisoner by the Chinese for 17 years. They killed his first wife and repeatedly tortured and brutalized him throughout his imprisonment. She told them that the hospital rules and regulations, coupled with the chemotherapy treatments, gave Tenzin horrible flashbacks of what he had suffered at the hands of the Chinese. "I know you mean to help him," she said, "but he feels tortured by your treatments. They are causing him to feel hatred inside - just like he felt toward the Chinese. He would rather die than have to live with the hatred he is now feeling. And, according to our belief, it is very bad to have hatred in your heart at the time of death. He needs to be able to pray and cleanse his heart." So the doctors discharged Tenzin and asked the hospice team to visit him in his home. I was the hospice nurse assigned to his care. I called a local representative from Amnesty International for advice. He told me that the only way to heal the damage from torture is to "talk it through." "This person has lost his trust in humanity and feels hope is impossible," the man said. "If you are to help him, you must find a way to give him hope." But when I encouraged Tenzin to talk about his experiences, he held up his hand and stopped me. He said, "I must learn to love again if I am to heal my soul. Your job is not to ask me questions. Your job is to teach me to love again." I took a deep breath. I asked him, "So, how can I help you love again?" Tenzin immediately replied, "Sit down, drink my tea and eat my cookies." Tibetan tea is strong black tea laced with yak butter and salt. It isn't easy to drink! But that is what I did. For several weeks, Tenzin, his wife, and I sat together, drinking tea. We also worked with his doctors to find ways to treat his physical pain. But it was his spiritual pain that seemed to be lessening. Each time I arrived, Tenzin was sitting cross-legged on his bed, reciting prayers from his books. As time went on, he and his wife hung more and more colorful "thankas," Tibetan Buddhist banners, on the walls. The room was fast becoming a beautiful, religious shrine. When spring came, I asked Tenzin what Tibetans do when they are ill in the spring. He smiled brightly and said, "We sit downwind from flowers." I thought he must be speaking poetically. But Tenzin's words were quite literal. He told me Tibetans sit downwind so they can be dusted with the new blossoms' pollen that floats on the spring breeze. They feel this new pollen is strong medicine. At first, finding enough blossoms seemed a bit daunting. Then, one of my friends suggested that Tenzin visit some of the local flower nurseries. I called the manager of one of the nurseries and explained the situation. The manager's initial response was: "You want to do what?" But when I explained the request, the manager agreed. So, the next weekend, I picked up Tenzin and his wife with their provisions for the afternoon: black tea, butter, salt, cups, cookies, prayer beads and prayer books. I dropped them off at the nursery and assured them I would return at 5:00. The following weekend, Tenzin and his wife visited another nursery. The third weekend, they went to yet another nursery. The fourth week, I began to get calls from the nurseries inviting Tenzin and his wife to come again. One of the managers said, "We've got a new shipment of Nicotiana coming in and some wonderful fuchsias and oh, yes! Some great Daphne. I know they would love the scent of that Daphne! And I almost forgot! We have some new lawn furniture that Tenzin and his wife might enjoy." Later that day, I got a call from the second nursery saying that they had colorful wind socks that would help Tenzin predict where the wind was blowing. Pretty soon, the nurseries were competing for Tenzin's visits. People began to know and care about the Tibetan couple. The nursery employees started setting out the lawn furniture in the direction of the wind. Others would bring out fresh hot water for their tea. Some of the regular customers would leave their wagons of flowers near the two of them. It seemed that a community was growing around Tenzin and his wife. At the end of the summer, Tenzin returned to his doctor for another CT scan to determine the extent of the spread of the cancer. But the doctor could find no evidence of cancer at all. He was dumbfounded. He told Tenzin that he just couldn't explain it. Tenzin lifted his finger and said, "I know why the cancer has gone away. It could no longer live in a body that is filled with love. When I began to feel all the compassion from the hospice people, from the nursery employees, and all those people who wanted to know about me, I started to change inside. Now, I feel fortunate to have had the opportunity to heal in this way. Doctor, please don't think that your medicine is the only cure. Sometimes compassion can cure cancer, as well."